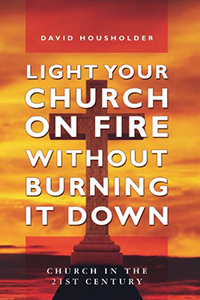 Throughout the years, the Lutheran Renewal Bookstore offered a large selection of Articles and Books authored by individuals with strong connections to Lutheran Renewal. Although many of the books that once lined our shelves have gone Out-of-Print, several remain available, either through Amazon.com or directly from independent booksellers. The following are still available (to the best of our knowledge), and are still highly recommended. 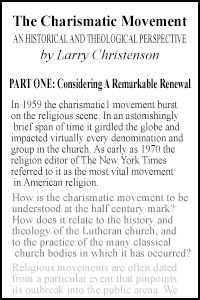 Articles that had been written specifically for the Lutheran Renewal audience are, of course still available for FREE downloading and study. David Housholder explains the world of Pentecostal Christianity in an engaging, delightful, and intellectually satisfying way. 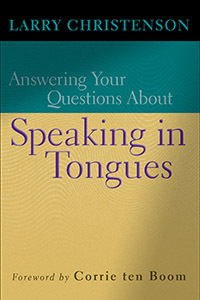 This book is intended for curious Christians and spiritual seekers, addressing topics such as: who, or what, is the Holy Spirit, speaking in tongues, healing, deliverance, charismatic worship, and much more. Morris Vaagenes tells of the transformation and spiritual renewal that came to North Heights Church that continues to this day. The lessons learned can be applied to individuals and churches-to whoever is crying out for renewal. 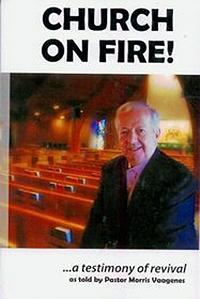 Dr. Morris Vaagenes, Pastor Emeritus of North Heights Lutheran church and one of the founders of Lutheran Renewal, has written an excellent book on the subject of baptism. 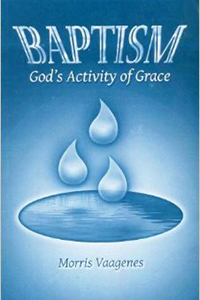 This book answers questions such as, "What is the meaning of baptism? ", "Why is baptism important? ", "What are the areas of agreement and disagreement?" and "Is baptism a passport to heaven?" There are questions for discussion at the end of each chapter which makes this book an excellent resource for an adult study class or to prepare sponsors. 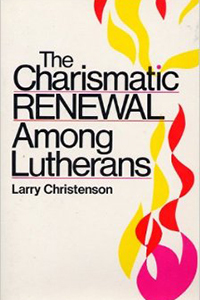 This 160 page book by Larry Christenson that gives practical guidance for understanding and experiencing spiritual renewal, charismatic gifts, renewed faith. 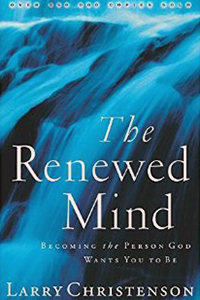 This book by Larry Christenson touches on five major areas of spiritual experience: Dependence on God; Facing challenges with the authority of Christ; Patience; Discipline; Prayer. This classic is an easy to understand book explaining the purpose and meaning that God had in mind when He appointed the gift of tongues for the church. 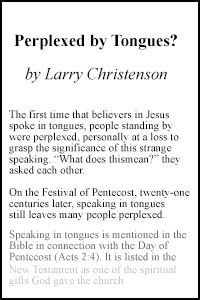 Written for lay Christians, it discusses speaking in tongues as a sign, as a gift, and as a ministry, as well as answering the question many Christians ask: "Is speaking in tongues for me?" 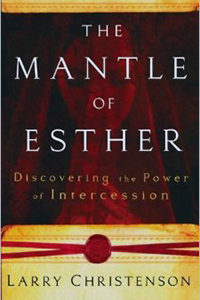 From the story of Esther, Larry Christenson presents a bold view of intercession. The intercessor stands between two realms, the natural and the spiritual. Intercessory prayer brings the power of heaven down to earth. Step by step, Esther's intercession results in deliverance from the power of evil.